Burt's Bees Natural Nourishing Mascara lengthens and defines lashes. The brush and formula work together to give longer, healthy looking lashes instantly. Made with Jojoba Oil and naturally moisturizing Glycerin to nourish lashes, this 100% natural mascara is gentle enough for the delicate eye area. Oh mascara, what would my lashes be without you? Short and unnoticed. Mascara that give my lashes length and still look natural is my kind of mascara! Sure, I love a mascara that provide volume and definition but with my short lashes these mean nothing until there's some length applied. 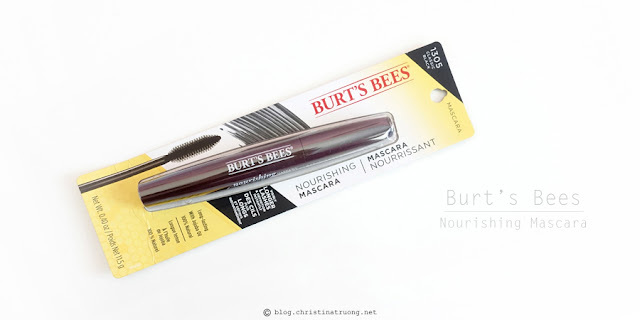 Burt's Bees Nourishing Mascara is exactly the mascara that provides length and naturalness. The mascara wand brushed and coated through every lash hair clean and evenly. The wand reminds me a lot of the Benefit Cosmetics They're Real! mascara - which is one of my all time favourite mascara! My lashes felt very natural after application - to the point where I forgot I had mascara on and rubbed my eye, surprisingly, no smudges! There was absolutely no clumping whatsoever, no matter how many coats of mascara you dare to apply. To top that off, there was no flaking either. By the end of the day, the mascara stayed on and didn't leave any raccoon eyes! Overall, a wonderful mascara that I will definitely be repurchasing. 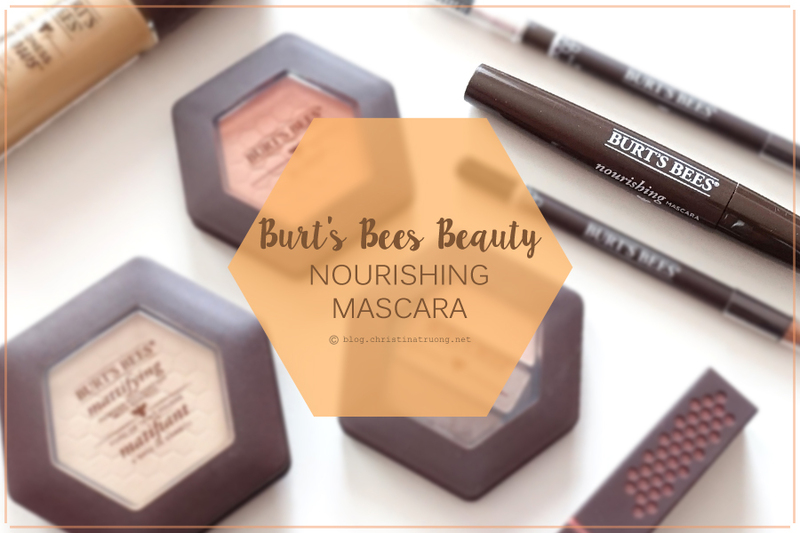 What are your thoughts on Burt's Bees Nourishing Mascara? Have you ever tried a nourishing mascara? Disclaimer: Products complimentary from Topbox Circle. Views expressed are honest and of my own.